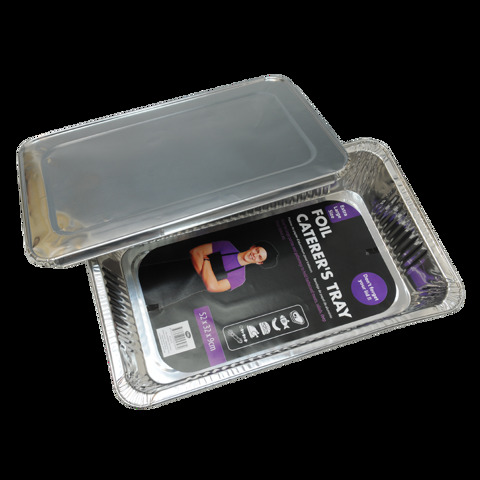 Foil Catering Tray W/Lid 32X52Cm. 52 x 32 x 9cm. Silver Foil. Aluminium Foil. 170G Packaging: Colour Label.